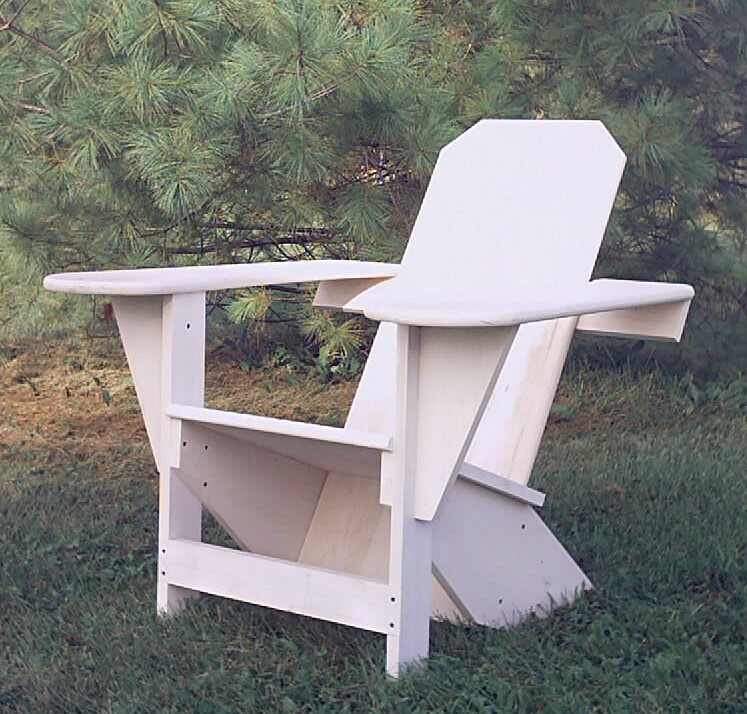 In 1903 Thomas Lee, while staying at his summer cottage in Westport, N.Y., a small village in the Adirondack Mountains on the shores of Lake Champlain, developed the Westport Chair. The Lee designe had a slanted seat and back. Thomas Lee offered his chair design to his friend Harry Bunnell. Lee suggested he take his chair design and build it at his carpentry shop to sell. Unknown to Mr. Lee, Bunnell took the chair design and filed for a patent on April 4, 1904. On July 18, 1905, Bunnell received his patent for the chair he called “The Westport Chair”. He manufactured and sold the chair for the next twenty five years. 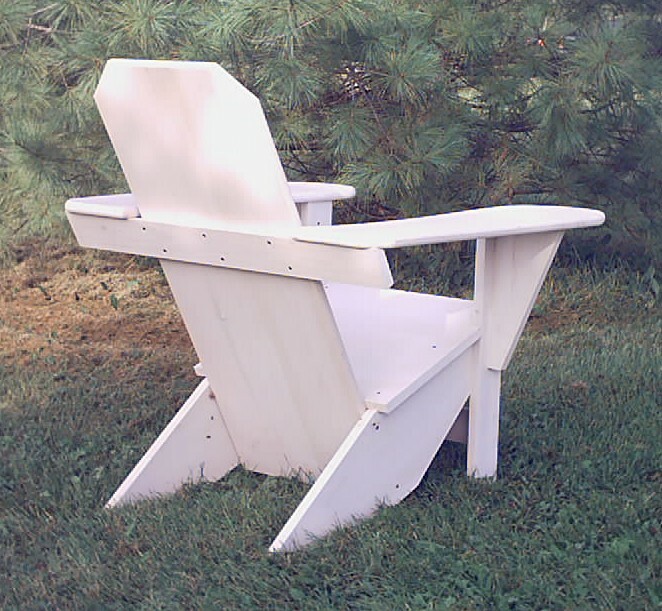 The Westport chair resembles the more common Adirondack chair. The difference between the two is the Westport chair is constructed with larger wide boards while the Adirondack chair is constructed with smaller slats. The locals of Westport have long considered the Westport chair as the original Adirondack chair. We here at Bessboro Builders (located in Westport) have a long standing friendship and history with the Lee family and the Westport area. The Westport chair we build is the “Westport Thomas Lee Chair” and is an exact dimensional replica of the original chair Thomas Lee constructed. It is constructed of select 5/4” white pine or other wood of the customer’s choice. These chairs may be ordered with or with out finish applied. They are fully assembled but can be left unassembled at the customer’s request. Please call or e-mail for up to date pricing or for more details and information.